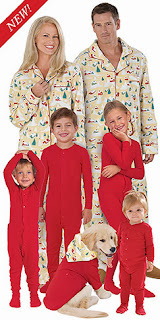 In my family getting a new pair of pajamas is a Christmas tradition. Everyone gets something catered to their own taste and style. 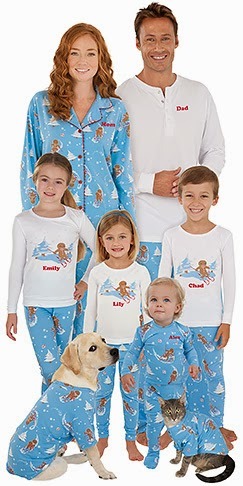 However this year I discovered Pajamagram you can get everyone's name on matching pajamas including the PETS! While my family isn't all for matching pajamas... Jack and I will be matching this Christmas! This is awesome--thank for sharing this idea! My family has the same tradition! This is so cute, I hope to do this one day when I am married with kids. 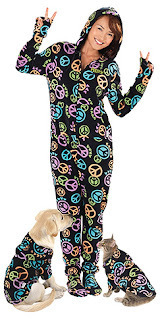 When I was growing up one of my grandmother's gave us pajamas to open on Christmas Eve. I kind of miss that treat.